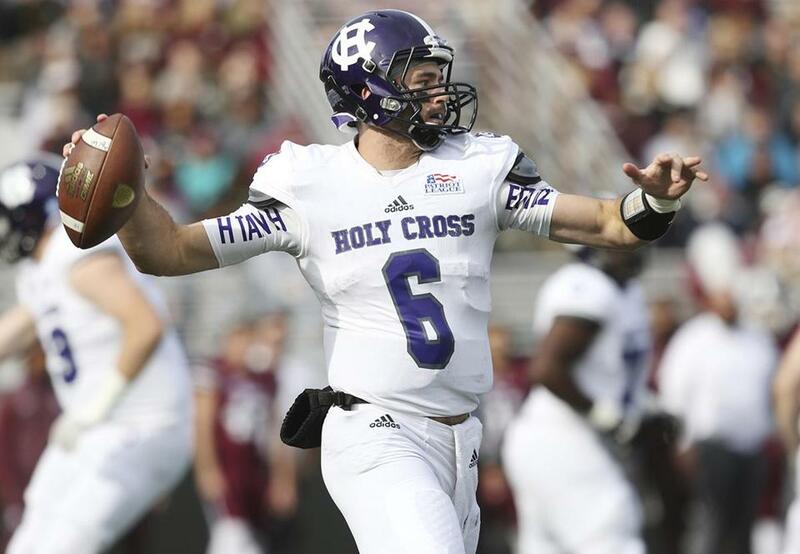 Holy Cross athletes have been competing as the “Crusaders” since 1920. I was a Holy Cross Crusader for four years in the 1970s. I was a Groton High School Crusader for four years before that. I made my bones in the newspaper field as sports editor of the Holy Cross Crusader student paper. I feel like a Crusader for life. The group will present its finding to school president Rev. Philip Boroughs and the Board of Trustees in January, and the college expects the board to address the matter at its Feb. 3 meeting. The issue is this: In the eyes of some, the Crusader nickname is offensive to non-Christians. Some folks see it as a symbol of slaughters during the 11th-century Holy Wars between the Christians and Muslims. Others would argue that a Crusader is simply someone who is fighting for a cause. Webster’s Dictionary uses both definitions. This is a tricky issue in this day and age. I live in a town famous for having elementary school kids engage in a recess “tug-of-peace” because “tug-of-war” is too aggressive. Many institutions have gone down this path in the last 40 years. The Dartmouth Indians became the Big Green. The St. John’s Redmen became the Red Storm. The UMass Redmen became the Minutemen. The Washington Bullets became the Wizards. The Washington Redskins argument is never going away, and we can all pretty much agree that the Cleveland Indians’ hideous Chief Wahoo is racist — even though everybody in Cleveland seems to love the goofy little guy. I am not in agreement with the notion that “if one person is offended, we should change things.’’ That’s a black hole from which we can never be rescued. But there’s certainly validity in the opinion that “Crusader” is offensive to some. I know where most of my friends and Holy Cross classmates stand on this. They don’t want to change. And when I ran into Tommy Heinsohn at the Garden last weekend, it was no surprise to hear Tommy’s outrage about the suggestion. “It’s nonsense,’’ said the Celtics legend (Holy Cross, 1956). “Political correctness. Gimme a break. In an effort to be fair and balanced (Tommy is overdoing the “lay professor” take; the objections started with a committee charged with probing Jesuits engaged in slave trading in the 19th century), I contacted the smartest man I know, the Rev. John Paris, who taught metaphysics, epistemology, social ethics, constitutional law, and bioethics (underachiever, this guy) for 21 years at Holy Cross. I wanted to know where he stood on the issue. In shorthand, he is telling us to change the name. Whew. This felt like being back in school when Father Paris granted me a gentleman’s C in 1974. One more call, I figured. Got to check in with the Cooz on this. There is a statue of Bob Cousy on the Holy Cross campus, and he regularly converses with the school’s hierarchy. He turns 90 in August and has owned a home in Worcester for more than 60 years. “[Former HC basketball coach] George Blaney called me and alerted me to it,’’ said Cousy. “I said, ‘You know, at my age, 2,000 kids starving to death every day in Somalia, or the little kook in North Korea getting ready to hammer us, or the guy who just killed 60 people in Vegas are all much higher on my priority list. Cousy is anything but dismissive or uncaring about those who might be offended. He knows and understands this topic better than almost anyone. “In April of 1993, Alan Dershowitz brought this to the attention of my dear friend and mentor, Father John Brooks, who was president of Holy Cross,” said Cousy. “His correspondence was very well done, very academic, very literal, very polite, but forceful in how strongly the Jewish community felt about the connotation that ‘Crusaders’ gave to them. “This was in April. Father didn’t answer him until August. Father rebutted his proposal basically saying that in his judgment it was in the eye of the beholder. “The Crusaders came into being as the mascot of Holy Cross in 1920. And when we think of being Holy Cross ‘Crusaders,’ we related to being — if you’re a Catholic, you’re tasked to walk in Christ’s footsteps and give back and do the good things. So that’s the connotation that we’ve had as Crusaders, in my case, since 1946. I’ve thought of it in a positive way. “This went on in 1993, and Dershowitz ultimately challenged Father Brooks to a verbal duel at Holy Cross, and that’s when Father pulled the plug. So when I talked to Father Boroughs last month, I told him I was privy to the correspondence between Dershowitz and his predecessor in 1993 and that Father Brooks didn’t have anywhere near the patience that Father Boroughs has on this topic. “I’m not insensitive. I don’t want the Jews to ever forget the Holocaust. I don’t want the Armenians to ever forget what the Turks did to them. All the genocide in this world we live in. These terrible things have happened. Shared. I still want to keep the Crusaders.